Traveling with your pooch is a wonderful experience. 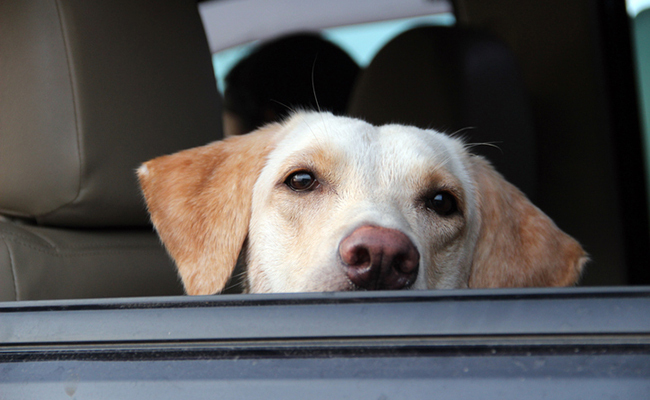 However, leaving a dog inside a parked car in the middle of summer could be a death sentence. There are several alternatives to this cruel option, but knowing exactly what to do if you see a dog in a hot car is important. This infographic from IgnitionLine goes into detail about why exactly it is so hard for dogs in hot cars and some first aid tactics for pets in need. Thanks Ashlyn for sharing the info-graphic. How hot is it inside the car? A white car parked in the sun on the day Phoenix reached 118 had an inside temp of 140 after 15 minutes and 170 after 30 minutes. No one should leave ANYONE in a hot car! The elderly, the young, or your animal family members! I won't even allow Howie to leave ME in the car when he runs into the store. He leaves the car running, the A/C on, and yours truly sitting shotgun. And I can always listen to the radio, too. Stupid people !!!! They should be locked in hot cars !!!! !